Do you want to climb a mountain? Drive a fire engine? Or maybe become the prime minister when you grow up? 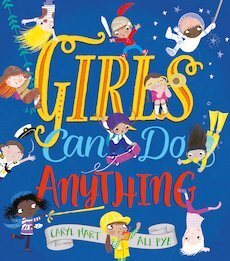 Well – the girls in this book know that they can do anything. And guess what: so can you! 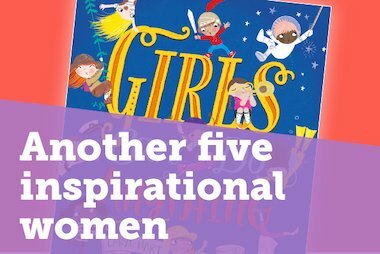 Join a gang of go-getting girls for whom the sky’s the limit, and marvel at the amazing things they do each day. From building houses to piloting space rockets, they’re ready to dream big. Are YOU? 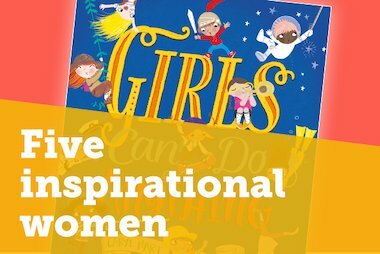 Bestselling author Caryl Hart’s and illustrator Ali Pye’s first collaboration is an empowering and inspirational tale about following your dreams, which children and parents can share together. 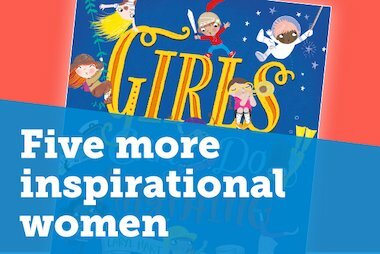 Download out our fantastic Girls Can Do Anything activity sheets here! Fire! Fire! Action stations! Quick – call the dinosaurs! It’s all in a day’s work for this crazy crew, they can handle any emergency. Or can they? 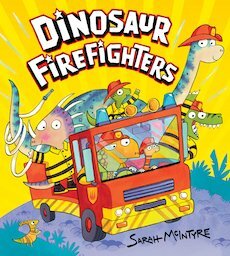 A dippy diplodocus, Dipsy is facing her very first day as a real firefighter with lots of dinosaurs for her and her friends to rescue, but she’s got a lot to learn. Join the Dinoville firefighting gang as they slide down poles, screech their sirens and speed off in the superfast fire engine, rushing to the rescue of a terribly stuck T-Rex! Can Dipsy go from zero to hero and fulfil her dream? Another delightful picture book from bestselling author-illustrator Sarah McIntyre that your little ones will adore! Be sure to check out our activity sheets here. Dylan’s on his way – are you ready to play? Today Dylan is playing at being a baker, and he wants YOU to join in! He’s promised to bake a cake for Jolly Otter’s birthday – but will Dylan and his friends Purple Puss and Titchy Chick be able to resist eating it? Don’t forget to join in with the story by keeping a look out for Dylan’s friend, Dotty Bug. Can you spot her on every page? Guy Parker-Rees’s beautiful sketches of multi-coloured crayon make Dylan and friends light up the pages in this much anticipated sequel. 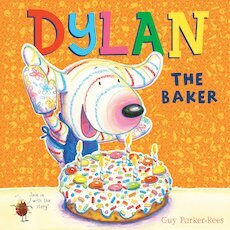 Free activity sheets to accompany Dylan the Baker are available here. 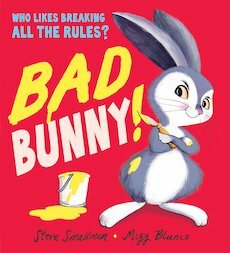 Steve Smallman and Migy Blanco have created a wonderful rhyming story of Bad Bunny’s cheeky escapades and his eventual run in with a fox! Has he met his match? Find out when Bad Bunny! is published in August 2018. We can’t wait! WARNING: Will induce extreme laughter. A cat. A mouse. An ace detective team! WHO ate the cheese? Can you guess? If you like to laugh, have a nibble of this! Mack the bumbling cat is the best detective in town, or so he tells his trusty sidekick, Squeak the mouse. 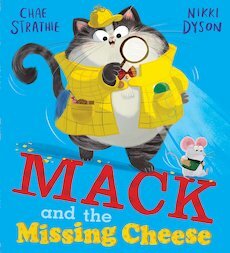 So when a lovely piece of cheese goes missing will Mack and Squeak crack the case of the missing cheese? Chae Strathie, and Nikki Dyson have created a delightful picture book, jam-packed with gloriously vibrant illustrations and hilarious accompanying text in another laugh-out-loud tale with a witty twist which is sure to tickle your funny-bone! Children and adults alike will love spotting the hidden clues and joining Mack and Squeak on their adventure to discover the thief. 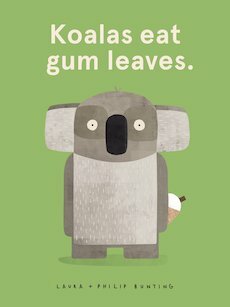 Koalas Eat Gum Leaves. They ONLY eat gum leaves – all day, every day. But this koala wants something else. He wants ice-cream… Will he find some tasty treats? And will he ever miss eating gum leaves? This is the tale of one little koala, who has had quite enough of his eucalyptus diet. And so he goes on the lookout for some tastier tucker until he discovers a more human food! Husband and wife team Philip and Laura Bunting from Queensland, Australia have teamed up to bring these charming Koala characters to life in this witty tale. To find out more about these and other brilliant books follow us on Twitter and Instagram, or like our page on Facebook.